Reuleaux RX GEN3 is the 3rd generation release of Reuleaux box mod. It comes in smaller, more ergonomic and lighter than the earlier version. The Reuleaux spots a huge 1.3inch OLED screen alongside a brand new interface that makes usage very easy and interesting. 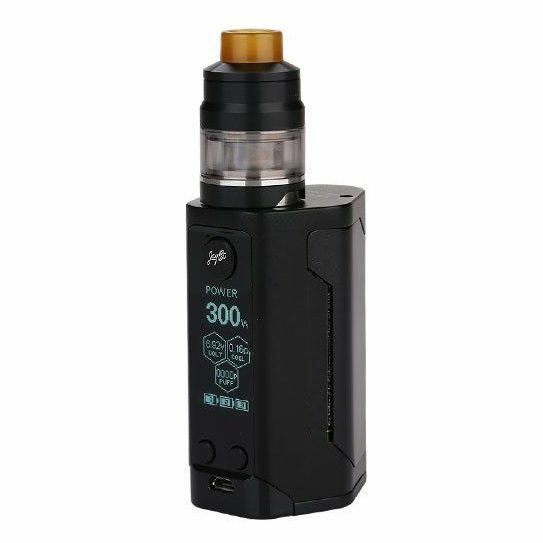 The GEN3 also features three replaceable 18650-battery cells with maximum output of 300W and it can be paired with the GNOME atomizer that offers a 2ml e-juice capacity for finest flavor. It is nice to note that this high-powered vape is highly pocket-friendly with high performance. Two Drip Tips: The GNOME offers two drip trips; one short and one long. Depending on what you prefer, there are two options available for your impeccable vaping gratification. Detachable Structure: This allows for easy cleaning. It can be detached and reassembled easily and conveniently. Dual Circuit Protection: By applying a special battery anti reverse circuit, reverse protection can be effectively achieved. The dual circuit protection system makes the Reuleaux RX GEN3 to be more reliable and safer. Charging: It is advisable to take out the battery cells and charge them using external charger. This makes the cells last longer and vaping more enjoyable. It is also possible to charge it by connecting it to a wall adapter through a USB cable or a computer. A very nicely built mod for quality vaping. It has latest technology. Performance is superb. Feels great in hand. The looks and build quality of this mod are exceptional. Feels great in hand.